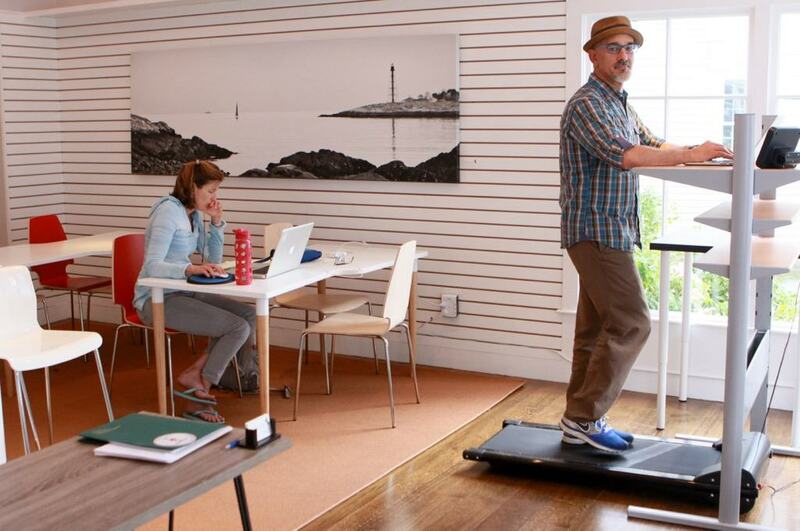 Two Marblehead Startups Reinvent the Office and How You Can Work Healthier. LifehackrDiet.com, a blog run by Marblehead resident Paul Michaels that teaches people how to lose weight and get in shape while they work, and WorkTable Marblehead, a professional co-working space in Old Town Marblehead, are teaming up for a free event and lunch courtesy of Eat Well Kitchen on July 10, 2015 from noon till 3pm at 140 Washington Street, Marblehead, MA. Learn more about, and register to attend this free event. The “Transform into a 10,000 Step-a-Day Hero While You Work” event will show attendees how to they can stay active while getting their work done. 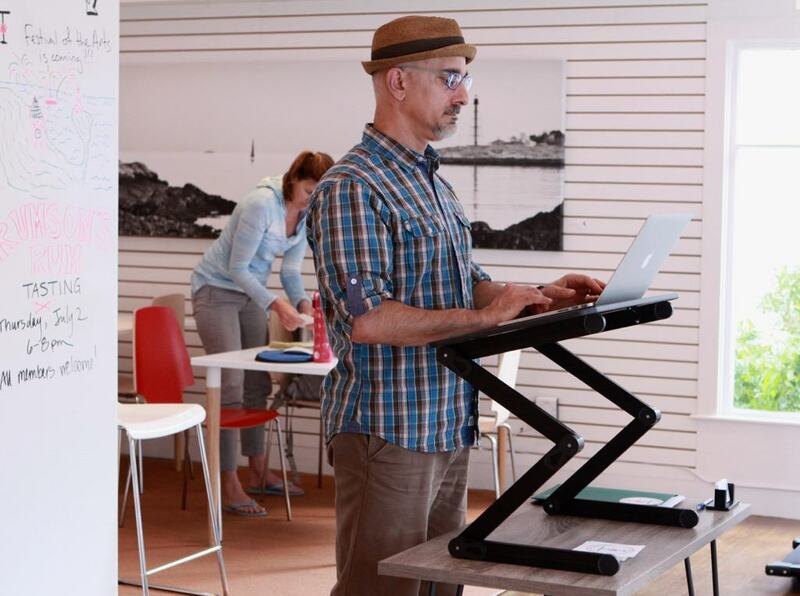 The event offers attendees the opportunity to try out a treadmill desk, a standing desk laptop stand and the Lumo Lift – Posture Coach and Activity Tracker to help office workers get the most activity out of their day. LifehackrDiet.com’s Michaels will present tips and tricks that helped him lose 35lbs while walking over 3,000 miles a year while he works, mostly at his computer. Marblehead startups hope to transform office life. Some people walk before work, some walk to work but Paul Michael has made a habit of walking while working. Marblehead startups hope to transform office life. The Marblehead startups, WorkTable and Lifehackrdiet.com, put a different spin on the trend, but their goal is the same: changing the way people work, for the better. Come out and enjoy the future now at the Internet of Things Festival at MIT in Cambridge, MA on Saturday February 22. Paul Michaels is going to be giving a brief presentation entitled “A Case for Wearable Technology; Using Personal Data to Hack a Healthier You.” Check back after the event for updates here. Update: The talk went well and I had lots of good questions. One compliment was that my talk had “meaning” in people’s’ lives – nice!